- Global oil demand has exceeded supply by more than 900,000 barrels a day on a seasonally adjusted basis since May, Goldman Sachs Group Inc. said in an e-mailed report today. Goldman expects the world oil market to remain in deficit in the first half of next year, it said. - OPEC maintained its output quotas, forecasting demand growth will slow as the global economy struggles to recover amid ample supplies. Oil supply and demand are “in balance,” and $70 to $80 is “a good price” for oil, Saudi Arabian Oil Minister Ali al-Naimi said at the group’s meeting in Quito, Ecuador, on Dec. 11. OPEC is breaching its production limits the most in six years, signaling the world’s biggest suppliers are ready to pump more crude next year as oil rallies toward $100 a barrel. The Organization of Petroleum Exporting Countries excluding Iraq pumped 26.78 million barrels a day this year, exceeding the quotas by an average of 1.934 million a day, the highest level since 2004, according to data compiled by Bloomberg. Crude rose 12 percent in 2010 as demand recovered, trading at about $90 for the first time in two years. Options to buy at $100 next December are near a five-month high. HOUSTON, Dec. 8 — Worldwide oil demand for this year’s third quarter will set a record at 88.3 million b/d, said Wood Mackenzie Ltd., Edinburgh, in its latest analysis. According to the report, provisional data shows that global oil demand for the recent quarter will almost certainly exceed the previous highest quarter—the fourth quarter of 2007—when demand averaged 88 million b/d. Just 3 years from the onset of the great recession, global oil demand has recovered to the pre-recession peak seen in 2007, the report said. The analysis finds that world oil demand in 2010 will likely reach an annual average of 86.7 million b/d, 100,000 b/d more than in 2007. Further, WoodMac expects worldwide oil demand in 2011 to exceed pre-recession levels, averaging a new all-time high of 88.1 million b/d. Oil demand in 2012 will climb to almost 90 million b/d, according to the forecast. I'm not sure what WoodMac counts as oil. Aside from ethanol, does this very large 88.3 million figure include Crisco, extra-virgin olive oil, whatever Willie Nelson puts in his bus, palm oil, nearly-extinct-fish oil and illicit whale oil? It's not clear, at least not to me. Who knows? — maybe WoodMac is long crude oil, or at least their clients are. And finally there is the price: as money flows into "hard" assets (like commodities) following on QE2 and other free loose money policies, the price of oil is negatively correlated with the Dollar Index. If financial considerations are driving the market, the price isn't a reliable short-term guide to the global supply and demand balance. Or so it would appear. What does the current price really mean? Does it mean the world is well-supplied, as OPEC claims? On the other hand, if Goldman Sachs and Wood Mackenzie are right, why isn't the price $110/barrel? Or $120/barrel? Or some other completely unaffordable number? In short, standard reporting on what's going on in the oil markets tells you next to nothing about what's really going on in the oil markets. And that's why I had a same-as-it-ever-was moment last week as I tried discern the larger trends we need to worry about. It's just like 2007 in 2010, and of course we still remember—we still do remember, right?—what happened in mid-2008. China's implied oil demand in November rose 13.7 percent from a year earlier to a record of nearly 9.3 million barrels per day, Reuters calculations based on preliminary official data showed on Monday [today]. China, which last year overtook the U.S. as the world’s biggest energy user, boosted net imports of crude by 26 percent in November from a month earlier as refineries ramped up processing rates to ease a diesel shortage. Net purchases were 20.3 million metric tons, or 5 million barrels a day, the highest since September’s record 22.9 million tons, data from the Beijing-based General Administration of Customs showed. Refineries processed 36.65 million metric tons in November, or 8.96 million barrels a day. That exceeded the record of 8.76 million barrels a day in October. Data from Reuters. Look at the difference between China's domestic production (green line) and crude oil processed (blue line) to calculate China's imports. 1 metric ton = 7.3 barrels. Here's some advice: if you want to know what's going to happen to oil prices over the next year or two, pay attention to what's happening in China. Forget OPEC. Forget Goldman Sachs. Forget Wood Mackenzie, and forget the countless other bullshitters out there who claim they have some insight into the oil markets. As far as oil demand and prices go, it's all China, all the time. The overdependence on new real estate in China, when the demand isn't there, will cause the nation to eventually "hit a wall," hedge fund manager James Chanos told CNBC Friday. “Construction is 60-plus percent of GDP, compared to exports of 5,” said Chanos, who is the founder and president of Kynikos Associates. China has built new cities that are now essentially empty, he added. Despite the overbuilding, said Chanos, construction continues at a good clip, with 12 million to 15 million residential units this year. The units, priced similar to those for US residents, are intended for Chinese who earn about $3,500 annually and are in the bottom 20 percent of wage earners. Ironically, many of the Chinese who've moved to cities from the country are construction workers, he noted. “When construction is 60 percent of your economy, and you are building lots of things that people don’t need, the state may let this get out of control,” he said. 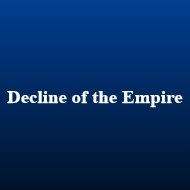 Dave Cohen writes the blog Decline Of The Empire. His commentaries cover a wide variety of subjects, including the American economy & macro-economics, the oil markets, peak oil, politics & policy, environmental issues and global warming. Dave was writing search engine software before he gave up on the industry in 2005 after 20 years as a software engineer. Dave has a M.A. in theoretical linguistics and was working on a Ph.D. before leaving The University of Texas at Austin in 1985 to do research in Artificial Intelligence. He attended the University of Chicago as an undergraduate. Right. China is the best indicator of coming demand. But oil prices do not always track demand. Sometimes they overshoot demand by quite a lot. As in 2007-2008.So perhaps we need an additional indicator, to gauge pseudo-demand or quasi-demand, or plain old "BS" demand.China's economy may be a paper tiger, but if the gangsters control the commodity exchanges, you can still leave the gas pumps a pint of blood short of what you had when you drove in. Work out, Dave. My next contribution to the bloggosphere has to do with the certainty of 100 dollar oil.And Mr Alfonso, thanks to an article of Dave's I came to the correct conclusion that OPEC got their game together in l999, when certain parties were talking about the oil price going into the can.The future is not just China gentlemen, It's China and OPEC. good article, how you see refining capacity also have a deeper impact on oil prices as it happened in 2004-2006?If there is any oil price modeling technique to predict future oil prices?actually i got semester project on oil price modeling, kindly help me in giving/pointing towards any literature, your cooperation would be highly appreciable.